Who says the office is safe from Halloween antics? 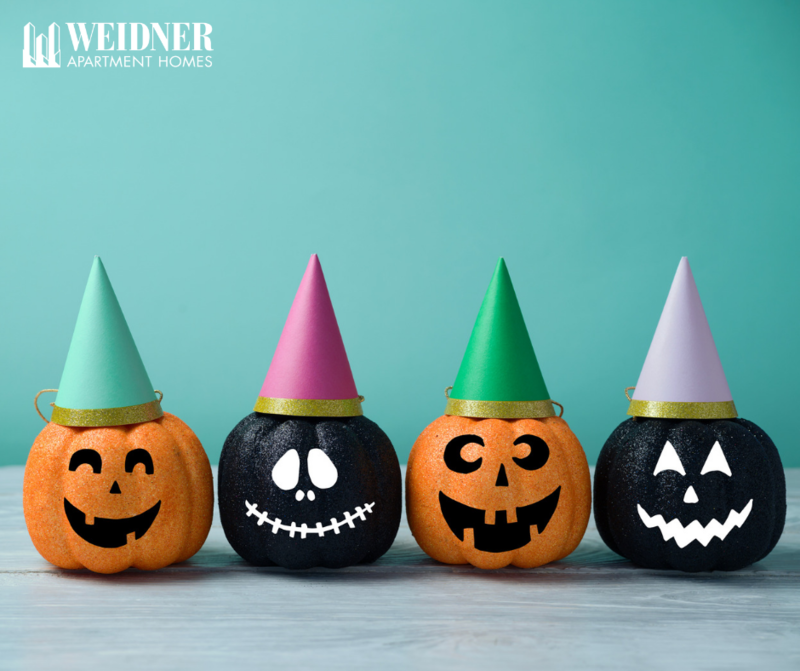 Just in case you thought that placing a plastic pumpkin head filled with candy would suffice for a Halloween decoration, we thought wed share some fun, festive ideas to welcome the trick o treaters. Head over to Office Depot for these Halloween crafts, from a giant spider web made of yarn to a black wreath, here are 8 DIY ideas for the office. Try a black decorative mini-tree and light it with pumpkin-shaped mini lights. Invite co-workers to hang their favorite handmade Halloween ornaments and give out a prize for the most creative ornament. Invest in some battery-operated candles and place them inside lanterns and disburse around your office area for a spookier look. Anything with black cats or bats is always in style. Hang up some winged-creature art like bats and moths. Put them on the corners of the cubicle, the edges of bookcases, and if you want to scare your boss, inside of a folder. Hang up some vintage-style Halloween posters and then accent the décor with a few pumpkin displays. Set up a chair in the office to seat a special guest. Form a scary character out of some old sheets, blankets, and pillows and dress it in an old hat, wig, suit or dress, add some black boots and prop your creation up in a chair. Place the candy bowl inside or for some extra laughs, a few old office reports. Make your own mummy and place it in the break room or next to your chair. Martha Stewart has a long list of Halloween crafts if youre feeling creative. If crafting isnt your thing, but you enjoy the festivities, theres always Party City and similar outlets for plenty of Halloween décor for the office and home. Whatever you do, have a scary good time and share your Halloween pictures and antics with us at #LifeatWeidner.